Pompano Beach, FL – Rare Two Contiguous Lots! CALL FOR OFFERS: MARCH 15TH 2013 AT 5:00PM EST – BID NOW!! IN ORDER TO BID ON THIS PROPERTY YOU MUST FILL OUT THE NECESSARY FORMS ATTACHED IN THE PROPERTY BROCHURE. IT IS UNDERSTOOD THAT NO ONE WILL BE PERMITTED TO BID ON THIS PROPERTY UNLESS THEY HAVE FILLED OUT THE NECESSARY FORMS AND SUBMIT IT TO THE BROKER PRIOR TO FINAL DUE DATE OF MARCH 15TH 2013 BY 5:00PM EST. 3. SUBMIT FORMS ON OR BEFORE MARCH 15TH 2013 BY 5:00PM EST. OFFERS SHOULD BE EMAILED TO MANNY@DEFALCO.COM OR FAXED TO 561-391-3911 OR MAILED TO THE ADDRESS PROVIDED. DON’T MISS THIS OPPORTUNITY TO BUILD YOUR DREAM HOME OR SEPC HOME FOR INVESTORS…BID NOW! LOCATED BETWEEN A1A & THE INTRACOASTAL AND ONLY 2 BLOCKS NORTH OF THE 14TH STREET CAUSEWAY. 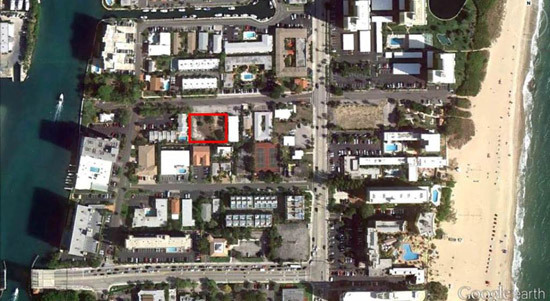 THIS RARE 2 CONTIGUOUS LOTS ARE ZONED RM-20 (MULTI-FAMILY RESIDENCE). LOTS FEATURE A TOTAL COMBINED SQUARE FOOTAGE OF 19,092!! DON’T MISS YOUR OPPORTUNITY!! PERFECT FOR DEVELOPER (or) LAND BANK HOLD!! -I-95 to E. Copans Rd. -Head East on E. Copans Rd. to N. Federal Hwy US1. -Turn Right and Head South N. Federal Hwy US1. -Turn Left onto NE 14th St and head east over the intercostal bridge. -Turn Left onto N. Ocean Blvd A1A and head north two blocks. -Turn Left onto NE 16th St.
-Property is Located on Left Side.